Thank you for another amazing year at KAMP Dovetail...despite the "liquid sunshine!" Staff: Thanks to everyone that came and enjoyed fun, food, and fellowship at Linda's staff party! The staff will have their annual retreat at Butler Springs in October. Hey volunteers and staff...if you don't have a KAMP Central account, start by clicking here! Get notifications and stay on top of everything KAMP Central. Download the Moodle App from iTunes or Google Play. Going for a cool dip on a hot day! Taking a leisurely cruise out on Rocky Fork Lake! Enjoying the summer air on a horse-drawn wagon ride! Tryin' to catch the "big kahuna!" Easy Steps to Create Your Account! 1. Click on the login link at the top right corner of the page or click here! 2. Follow the on-screen instructions...it's just a few easy steps. 3. 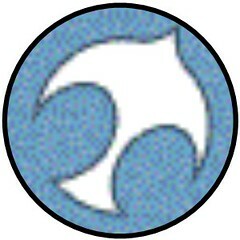 Once you have created an account, it will be confirmed by someone on staff. That's when you can start joining the courses! KAMP Dovetail is a one-week summer camp for kids, teens, and young adults with disabilities. On any day during KAMP, we have around 700 people on KAMP property. Are you a friendly and caring person that would like to make 700 friends this summer? Click here to read more about becoming a volunteer! This is the place to find all that is going on with the staff. This could be the one stop shop for communications and upcoming staff events and activities. Click the icon or click here to visit the Staff Spot! Staying in the loop is so important...let's make it simple. There are lots of events throughout the year to benefit KAMP, and each event needs people to help out. This is where you can sign up to be one of those people! Without people like you, we could not have a camp as great as KAMP Dovetail! Click the icon or click here to sign up now! Hey, KAMP volunteers...this is the place to find out all the information you need and to keep connected with the rest of your KAMP family. Click the icon or click here to visit the Volunteer Connection! 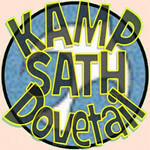 Catch up on your KAMP Dovetail training online! These training courses are intended to supplement the in-person, hands-on training you receive at the meetings. Are you looking for your group and get to know the other folks you'll be working with this summer? You're in the right spot! This is the Group Corner where every group has a place to chat, pass on information, and get to know each other. Click here to visit the Group Corner. KAMP Central - On the Go! Set up the app with KAMP Central's website (https://www.kampdovetail.com/central), your username and your password. Once you have it set up, you will get push notifications for calendar events, messages, and announcements plus be able to access KAMP Central content right there on your phone! Become Someone's Hero - Volunteer! Skip news u can use! Here are the Easter Bunny pictures from our Lunch with the Bunny event. S.A.T.H. Speaks Volume 29 Issue 2 is now available. The proof prints from our Lunch with the Bunny event are now posted. Review your proofs at http://www.kampdovetail.com/gallery/photoidx.asp?eventprefix=ebun17 and don't forget that you can still order photo packages of your image at any time.